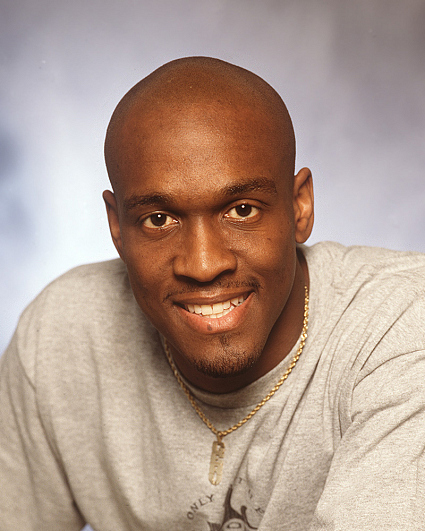 Gervase hails from Philadelphia and currently lives in Willingboro, New Jersey. He is a youth basketball coach and his previous occupations include an auditor, a field representative for Nielsen Media Research and a test technician for I.B.M. He attended Lincoln Technical Institute for two years. Gervase's proudest accomplishment is living to the age of 30. His perfect day would consist of playing with his kids, enjoying a game of basketball and football, followed up by a large incredible meal. His hero is his mother for all the sacrifice and love she gave after his father passed way when he was fifteen years old. His three favorite hobbies are watching movies, basketball/football and anything revolving around actress Salma Hayek. Gervase describes himself as confident and responsible, but has trouble dealing with indecisive people who are afraid of trying new things. His birth date is Nov. 2, 1969.